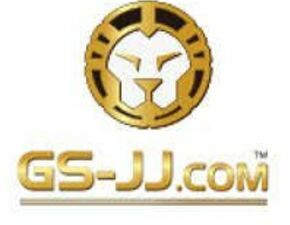 The GS-JJ can be customized with a professional baseball season trading pins, offering a variety of different effects for craft with the lowest price. 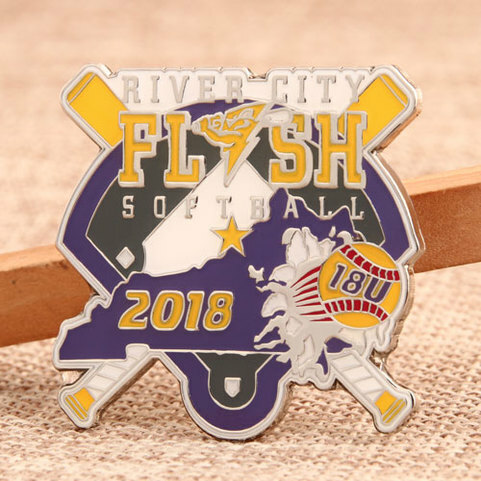 RCFS Custom Trading Pins is one of the hard enamel craft pins, the obvious advantage of this pins is that it can be filled with a variety of colors, oxidation resistance, and strong wear resistance. 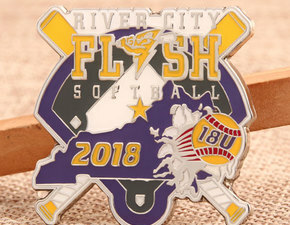 The Baseball Pins was designed free of charge according to customer requirements. The shape of the ballpark merges with the crossover baseball bat, and the game's theme and year are showed on the pins at a glance. Purple and yellow were used as the theme colors, and polished silver was used for the edge lines. It is not only distinctive in theme, good in quality and beautiful, but also very suitable for use as a collection. 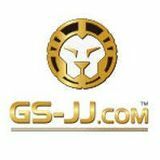 Description: GS-JJ e-commerce website is our latest venture in our effort to offer our quality products and service directly to designer and end users.